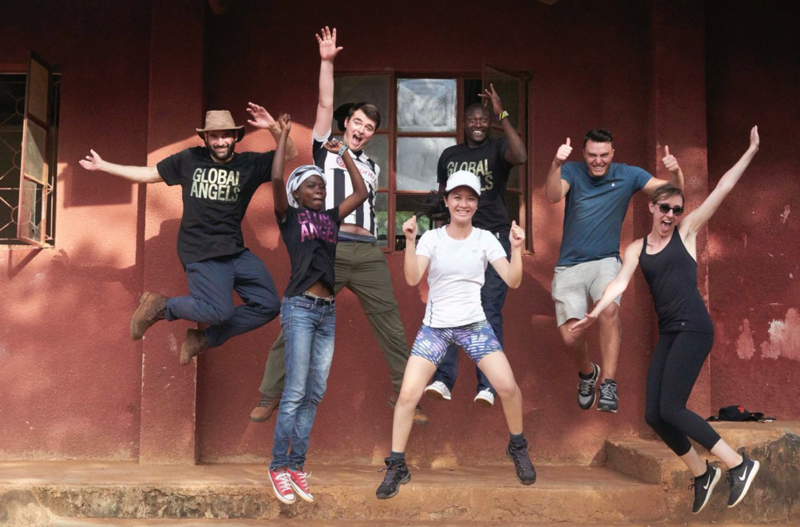 What an amazing time we had in Tsavo with volunteers joining us from around the world, including film maker Phil Jenkins, photographer Afshin Feiz, Caroline Watkins and her team from Robert Walters along with Kane from Abraxys Global. Each trip seems to get better and more enjoyable. It’s exciting to see everyone really get involved and to so quickly engage with each other and become a team. If you are following us on our new Instagram and our Facebook group you will have seen some of the photos Afshin took and seen some of the highlights. New film footage is coming soon 🙂 Together the team began doing the hard graft of preparing the foundations of our new Community Farm Centre. Renate and I are preparing for our next follow up trip in June to work with our team in Tsavo, Kenya and will be joined by Board Member and architect Mark Eddison. 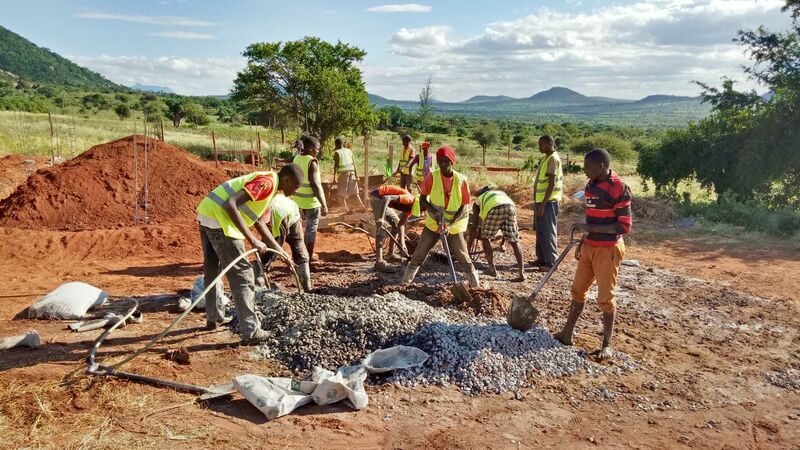 Right now, our on the ground leaders in Tsavo, Jackson and Jared are working with a team of local young men to build our Community Farm Centre. They are aiming to complete it by July, ready for our harvest of green grams, pigeon peas and chia. We are being donated the funds to purchase and install a mill to grind grains for local families and also a grinder to make mash for chicken feed. With these we will be able to make a huge difference and begin the next phase of our plan for developing our model farm to train and support the local community. 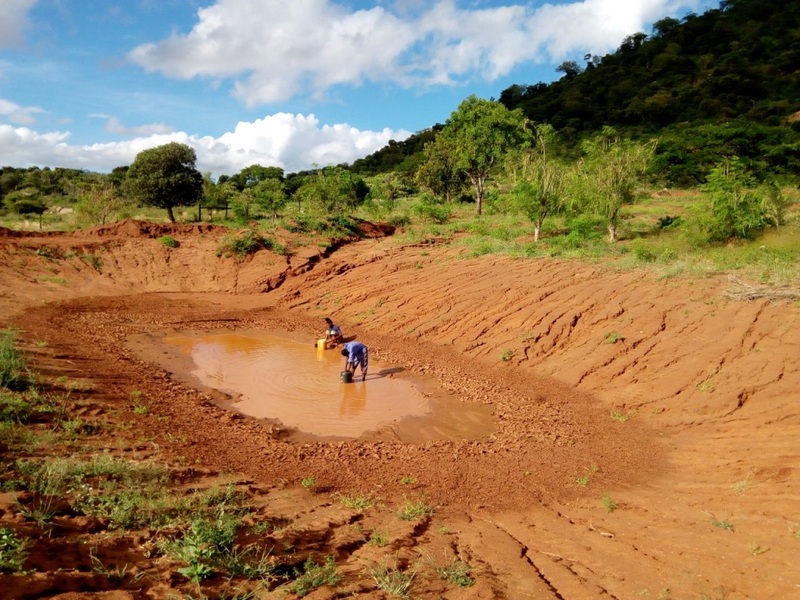 As you know collecting and storing enough water is the key to everything being successful or not here in the Itinyi Valley. 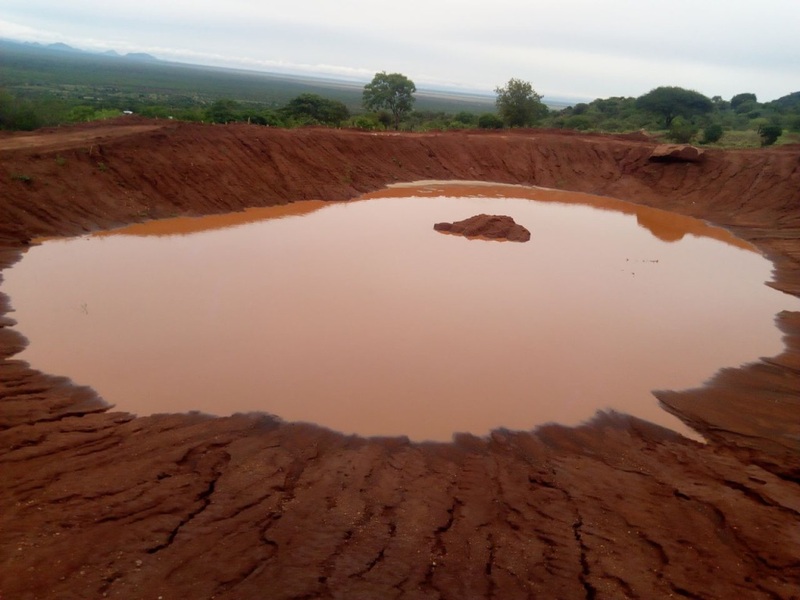 As part of our solution to provide water for our organic farm and for the local community we have dug three massive water pan dams on our farm which have the combined capacity to hold 1 million cubic meters of water. These open water pans have a high level of evaporation so we need further covered storage once the water is captured. 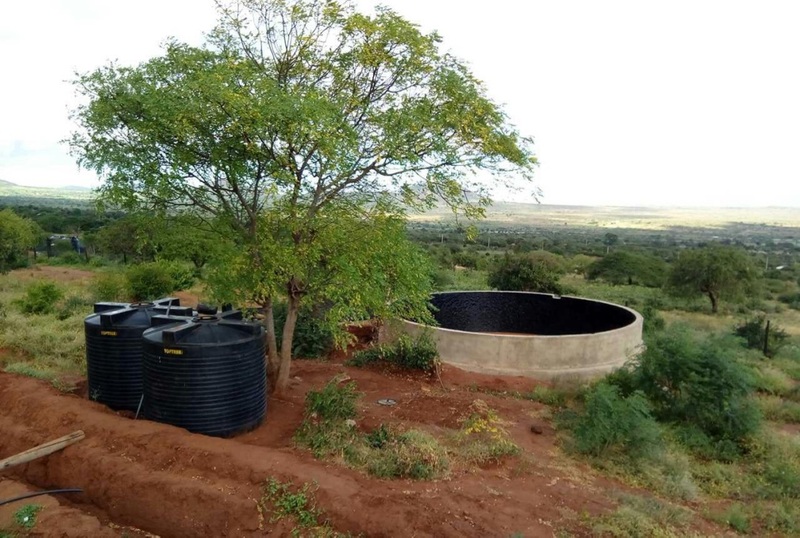 As part of the solution so far we have only built one masonry storage tank with a capacity of 150,000 litres and have purchased 110,00 litres of plastic tank storage. Each masonry tank is made by our local young men including making the bricks themselves. It’s a fascinating process and I love seeing the bricks all laid out. They can make 600-800 a day. It also shows the level of poverty as many of the labourers come with flip flops and don’t own proper shoes or let alone safety shoes. We are expecting the next rains between October and December. With that in mind we are focused on completing everything we need to collect and store the coming rain water so we have enough water for the crops we are growing on the organic farm and in the shade houses. 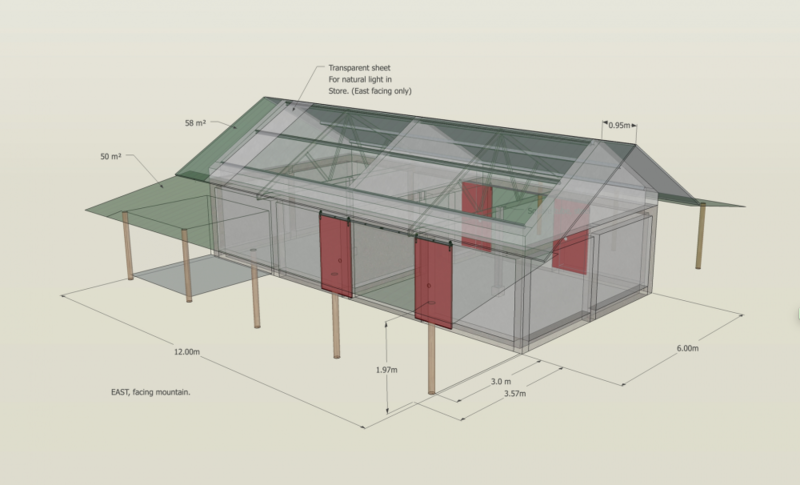 build two 150,000 litre masonry tank to collect and store rain water from guttering of the Resource Centre and new Community Farm Centre £5500 each. 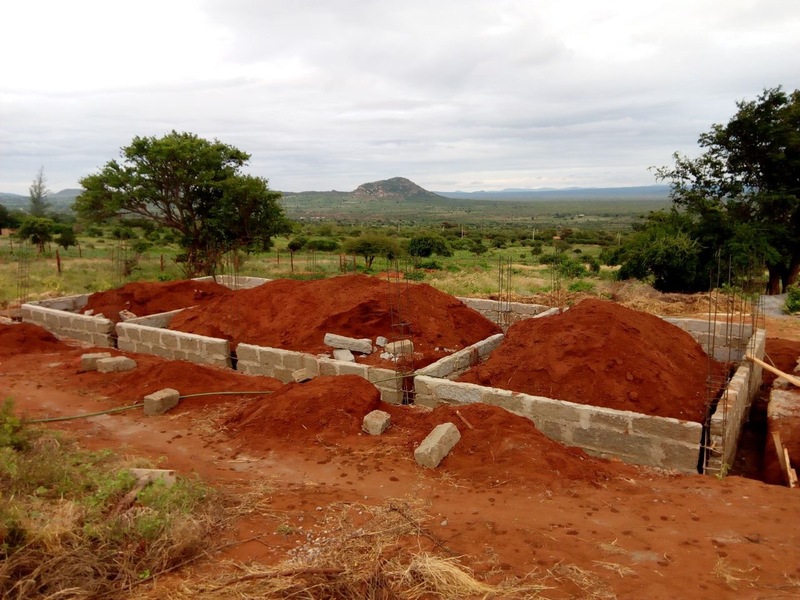 build a third 150,000 litre masonry tank to store water from the water pans to provide water for our crops in the shade houses and the farm. £5500 each. Great news – our friend Richard Harries has successfully walked all the way from Lands End to John O’Groats. He raised over £4000 to help us build the water pans and water storage. It took him several weeks and we are really proud of his achievement. He spoke on radio and tv and shared the message of Global Angels to whomever would listen.. what a journey. Renate and I are leading a team of volunteers to the Tsavo project Sept 22-28. There are still a few spaces we would love you to join us. Here is the link for more information.